For thousand of years, astronomers and astrologers believed that the Earth was at the center of our Universe. 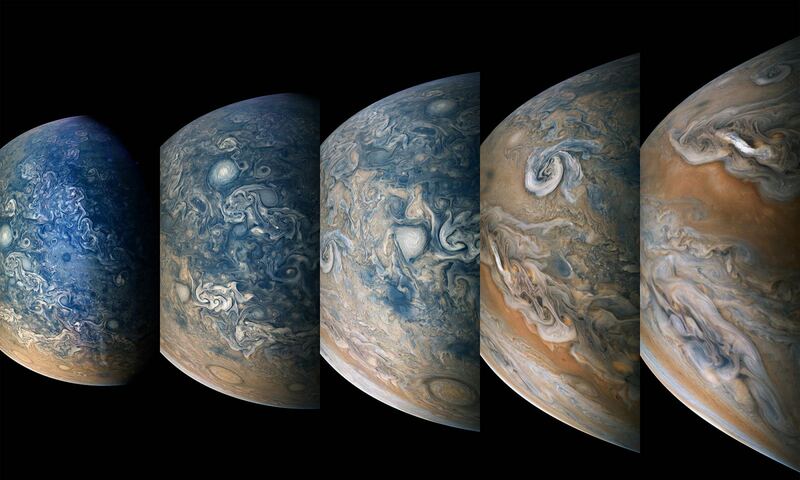 This perception was due in part to the fact that Earth-based observations were complicated by the fact that the Earth is embedded in the Solar System. It was only after many centuries of continued observation and calculations that we discovered that the Earth (and all other bodies in the Solar System) actually orbits the Sun. Much the same is true about our Solar System’s position within the Milky Way. In truth, we’ve only been aware of the fact that we are part of a much larger disk of stars that orbits a common center for about a century. And given that we are embedded within it, it has been historically difficult to ascertain our exact position. But thanks to ongoing efforts, astronomers now know where our Sun resides in the galaxy. 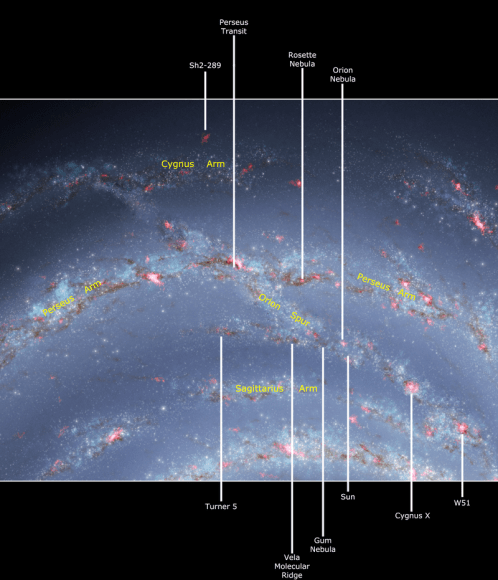 For starters, the Milky Way is really, really big! Not only does it measure some 100,000–120,000 light-years in diameter and about 1,000 light-years thick, but up to 400 billion stars are located within it (though some estimates think there are even more). Since one light year is about 9.5 x 1012 km (9.5 trillion km) long, the diameter of the Milky Way galaxy is about 9.5 x 1017 to 11.4 x 1017 km, or 9,500 to 11,400 quadrillion km. It became its current size and shape by eating up other galaxies, and is still doing so today. In fact, the Canis Major Dwarf Galaxy is the closest galaxy to the Milky Way because its stars are currently being added to the Milky Way’s disk. And our galaxy has consumed others in its long history, such as the Sagittarius Dwarf Galaxy. And yet, our galaxy is only a middle-weight when compared to other galaxies in the local Universe. Andromeda, the closest major galaxy to our own, is about twice as large as our own. It measures 220,000 light years in diameter, and has an estimated 400-800 billion stars within it. In truth, all the pictures that depict our galaxy are either artist’s renditions or pictures of other spiral galaxies, and not the result of direct observation of the whole. Until recently, it was very difficult for scientists to gauge what the Milky Way really looks like, mainly because we’re inside it. It has only been through decades of observation, reconstruction and comparison to other galaxies that they have been to get a clear picture of what the Milky Way looks like from the outside. From ongoing surveys of the night sky with ground-based telescopes, and more recent missions involving space telescopes, astronomers now estimate that there are between 100 and 400 billion stars in the Milky Way. They also think that each star has at least one planet, which means there are likely to be hundreds of billions of planets in the Milky Way – billions of which are believed to be the size and mass of the Earth. As noted, much of the Milky Way’s arms is made up of dust and gas. This matter makes up a whopping 10-15% of all the “luminous matter” (i.e. that which is visible) in our galaxy, with the remainder being the stars. Our galaxy is roughly 100,000 light years across, and we can only see about 6,000 light years into the disk in the visible spectrum. Still, when light pollution is not significant, the dusty ring of the Milky Way can be discerned in the night sky. What’s more, infrared astronomy and viewing the Universe in other, non-visible wavelengths has allowed astronomers to be able to see more of it. The Milky Way, like all galaxies, is also surrounded by a vast halo of dark matter, which accounts for some 90% of its mass. Nobody knows precisely what dark matter is, but its mass has been inferred by observations of how fast the galaxy rotates and other general behaviors. More importantly, it is believed that this mass helps keep the galaxy from tearing itself apart as it rotates. The fact that the Milky Way divides the night sky into two roughly equal hemispheres indicates that the Solar System lies near the galactic plane. The Milky Way has a relatively low surface brightness due to the gases and dust that fills the galactic disk. That prevents us from seeing the bright galactic center or from observing clearly what is on the other side of it. You might be surprised to learn that it takes the Sun 250 million years to complete one rotation around the Milky Way – this is what is known as a “Galactic Year” or “Cosmic Year”. The last time the Solar System was in this position in the Milky Way, there were still dinosaurs on Earth. The next time, who knows? Humanity might be extinct, or it might have evolved into something else entirely. As you can see, the Milky Way alone is a very big place. And discerning our location within it has been no simple task. And as our knowledge of the Universe has expanded, we’ve come to learn two things. Not only is the Universe much larger than we could have ever imagined, but our place within in continues to shrink! Our Solar System, it seems, is both insignificant in the grand scheme of things, but also extremely precious! 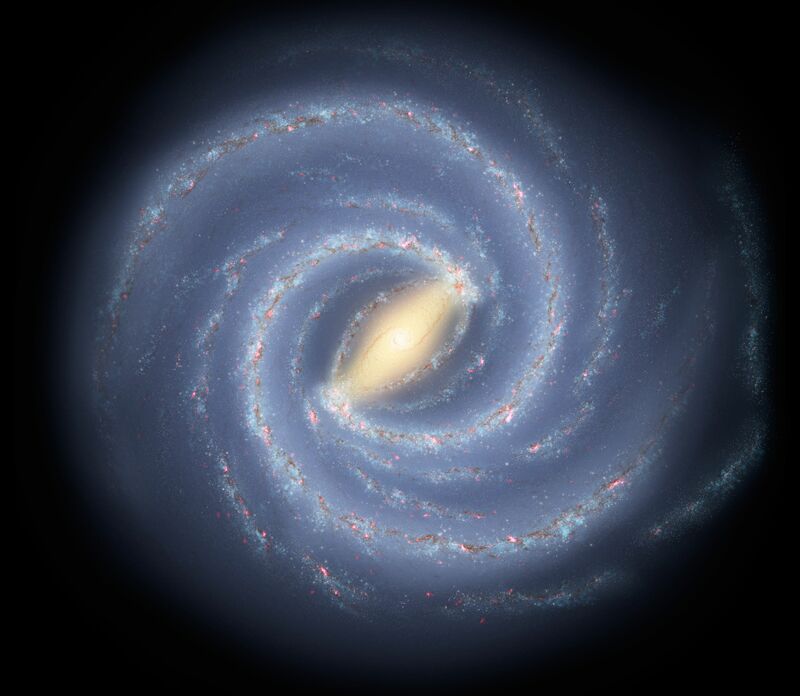 We have written many articles about the Milky Way for Universe Today. Here’s 10 Interesting Facts about the Milky Way, How Big is the Milky Way?, What is the Closest Galaxy to the Milky Way?, and How Many Stars Are There in the Milky Way? 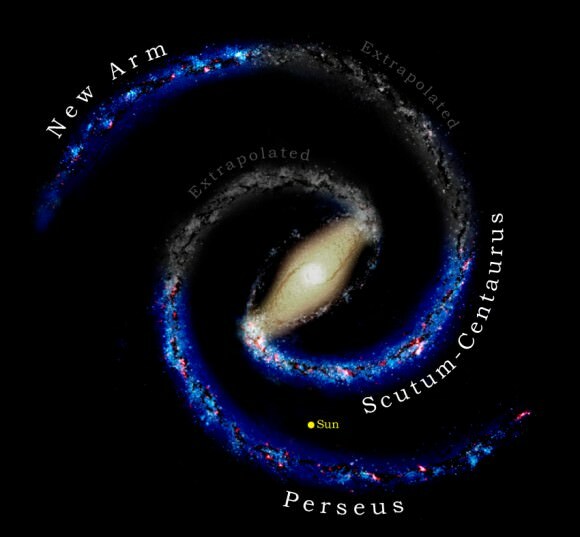 If you’d like more info on the Milky Way, check out Hubblesite’s News Releases on Galaxies, and here’s NASA’s Science Page on Galaxies. We’ve also recorded an episode of Astronomy Cast all about the Milky Way. Listen here, Episode 99: The Milky Way.